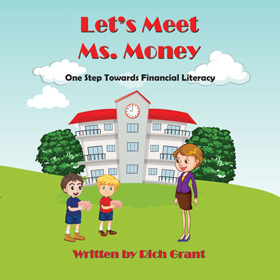 A Supplement to Grant’s Smart Money Trilogy. How to Budget, Save, Spend and Invest (Book 1). The following checklist is intended to be used annually by an individual, a couple or a family in the areas of budgeting, savings, spending and investing. If each member of a couple has separate investment accounts, you should review your risk tolerance and asset allocation using a combined portfolio. 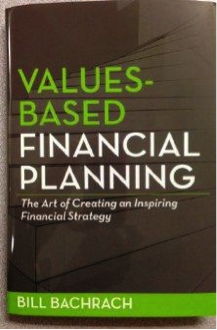 Even if you received an A on your Financial Health Checklist last year, it is likely things have changed at home (death or birth in the family, purchase of a new home), at work (new job, raise, promotion, change in healthcare, retirement) or in the economy (change in interest rates, stock market volatility, recession). Maintaining or improving your financial health is hard work. However, the work pays off when life events (birth of a child, paying for college, buying a house, retirement) happen. That is why you should review and complete this checklist annually. Your review may require certain changes some years, and other changes in other years. Over a lifetime, little changes each year can have a dramatic impact on your financial health. The most important and difficult part of your annual health checkup begins prior to reviewing and completing this checklist. You must spend time alone or with your family to determine your plans, what is important to you, and what you intend to accomplish in the future. You must discuss your hopes and dreams for you and your family. This information will not only set the course for your financial life, but also provide you the discipline to stay the course when times get tough. This checklist is intended to be a memory jogger for those who have a good handle on their finances and a road map for those who are not sophisticated financially. However, no checklist can include steps for everyone to take. You must review your own unique financial situation carefully and take the appropriate action. If you are not knowledgeable about all the terminology used in this checklist consider acquiring Grant’s Smart Money Trilogy- How to Budget, Save, Spend and Invest (Book 1). The e-book will provide more details in most areas included in this checklist. You may need help in one or more areas of this checklist. If you decide to consult, with an accountant, attorney, financial planner or investment advisor, select your advisors carefully. Use a tool to help you organize your income and expenses. Tools can be as simple as Microsoft Excel or you may use Mint, BudgetSimple, Pocketsmith, Simpleplanning.com or many others. Include funds for saving, including an emergency fund, and investing in your annual budget. Compare prior year’s budget with the current year’s actual results. Your income and expenses should be evaluated either monthly or quarterly but no less frequently than annually. Depending on the results of your analysis, take appropriate action. Consider ways to increase your income or reduce your spending. Look deep into all categories of your spending. Identify ideas to help you reduce your spending. For example, consider negotiating rates or finding a new carrier for your cable television, your wireless service, your internet service and your landlines. With the financial records used to prepare your budget and other documents, prepare and evaluate your Statement of Net Worth. This simply means the difference between what you own and what you owe. The change in your net worth from year to year is a good indicator if you are meeting your financial goals. Consider whether you need a financial planner to assist you. This should be done after doing your own diligence, using tools like Grant’s Smart Money Trilogy and reflecting on your financial goals. Strive to maintain at least 6 months of cash available in an emergency fund. For safety, maintain it in a high interest savings or money market account. Consider a home equity line of credit if you do not have a sufficient emergency fund. Ensure you are following your established budget. Compare your banking costs to other banks. Are you paying for your checking account? Do you need a minimum balance? Read the terms of your credit agreements and compare to other credit cards. Are you using the right credit cards? What is more important to you: cash rewards, airfare points or a low interest rate? Review and update your credit reports at annualcreditreport.com. Review your credit score. Credit Karma and others provide free credit scores. If you need to improve your credit score, review the factors which are negatively impacting your score and develop a plan to improve. If you have met your deductible, accelerate anticipated medical/dental/eye procedures into this insurance plan year. If you have a high deductible insurance plan, consider participation in a Health Savings Account (HSA). Consider participation in a tax advantaged Flexible Spending Account (healthcare and dependent care accounts) or employer provided Health Reimbursement Account (HRA). Plan to ensure no funds are lost at the end of the year. Determine whether you need life insurance to provide for your children’s wellbeing, your spouse’s retirement, to pay your estate taxes or other matters. Determine if your employer provides adequate disability insurance. If not, determine if you need disability insurance to provide for you and your family’s well being. Review insurance premiums periodically by obtaining quotes from reputable insurance companies. Determine if your coverage and deductibles are appropriate or required by a regulator. The insurance premium is based principally on the risk the insurance company is assuming, coverage obtained, deductibles and insurance company profit. Revisit your time horizon, risk tolerance and asset allocation. Rebalance your portfolio. This should include all assets including investment accounts, retirement accounts, real estate and alternative investments. Determine your rate of return on your invested assets for the current year. Compare that return to a benchmark return of a portfolio with the same asset allocation or other available benchmarks. Determine why your return is better or worse and take appropriate action. Determine by investment vehicle and in total, all the expenses you are paying on your investment portfolio. Compare those expenses to similar expenses of a portfolio with the same asset allocation or other available benchmarks. Are you investing for the right things and in the right order (down payment on a home or to pay off your mortgage, college costs and retirement)? 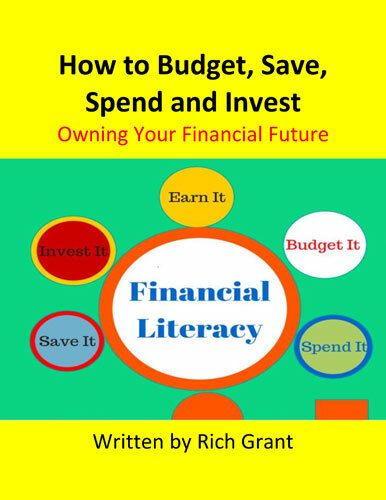 Although Estate Planning is not included in How to Budget, Save, Spend and Invest (Book 1) of Grant’s Smart Money Trilogy the topic is of such importance it deserved attention in this checklist. Prepare or update your will, healthcare proxy and power of attorney. Prepare your letter of instruction related to your affairs. Discuss your personal affairs with someone close to you so your wishes are known. How to Budget, Save, Spend and Invest. Book 1. How to Afford the Big-Ticket Items: College, Home and Retirement. Book 2 Coming Soon. How to Protect Your Money and Your Identity. Book 3 Coming Soon.